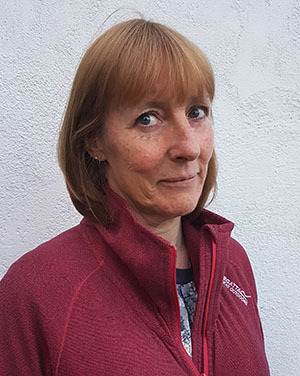 As one of two learning disability consultant nurses in England, Joann Kiernan is keen to share resources to promote the provision of effective care. I am a learning disability nurse lecturer teaching across professional programmes and I also contribute to allied health and social care provision. I also have a clinical role as consultant intellectual disability nurse at Alder Hey Children’s hospital in Liverpool and this is one of only two such posts in the country. This role involves supporting the hospital to look strategically at the needs of children who have a learning disability and conditions on the autistic spectrum to ensure they receive appropriate provision. Working alongside Jim Blair at London’s Great Ormond Street hospital, I am keen to share resources and best practice while promoting the provision of effective care for children who have an intellectual disability in the acute paediatric sector. Why did you become a learning disability nurse? I became a learning disability nurse by chance. I was looking for an opportunity to work with people and the role appealed to me. I was fortunate to be taken on as a nursing assistant in the first instance with a promise of training in the hospital school of nursing if you were considered to have potential. What might you have done otherwise? I was a little lost career-wise at 18, but am sure I would have worked with children in some capacity. I trained in a psychiatric hospital and, at 18, I found it daunting. The experience of working in in a pressurised environment with extremely complex patients has proved invaluable to me throughout my career. Where have you worked previously? I worked in the voluntary sector, special education, higher education, health services, community and hospital posts. Most of my clinical experience has been with children, however one of the advantages of being a learning disability nurse is the ability to meet and work with people across all age groups. What do you enjoy most about it? Both of my roles are challenging, interesting and continually evolving. I'd like to think that I enable people to understand what and why they need to support people with a learning disability in a way that encompasses true listening and participation of people with a learning disability. What is the greatest challenge? Making sure that I am using and listening to the information that children and families are always keen to share with us. There is no other group of people who are more able to articulate and support us in getting things right. We just need to listen. What could you change if you could? There is lots that needs to be done to ensure that people with a learning disability experience true equality. The need for good-quality research evidence that supports the learning disability nurses role in healthcare is something that will need to continue to evolve with nurses taking a critical role in working in partnership with the users of services to shape future practice. What qualities do you think a good learning disability nurse should possess? Resilience and the ability to work across sectors with a multitude of professionals, providers and cultures. Working alongside students, practitioners and people who have a learning disability and their families is what makes my work inspiring. I enjoy what I do because of the people I meet and the motivation they have to move forward. What advice would give a newly-qualified learning disability nurse? Learning disability nurses need to remain focused on working in partnership with people with learning disabilities so they experience true equality and access in all areas of their lives. Above all listen, advocate, enjoy and try your best. What does the future look like for learning disability nursing?